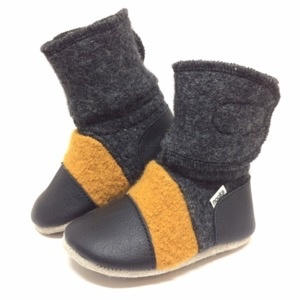 Size: * 18-24 mos. 2-3 yrs. 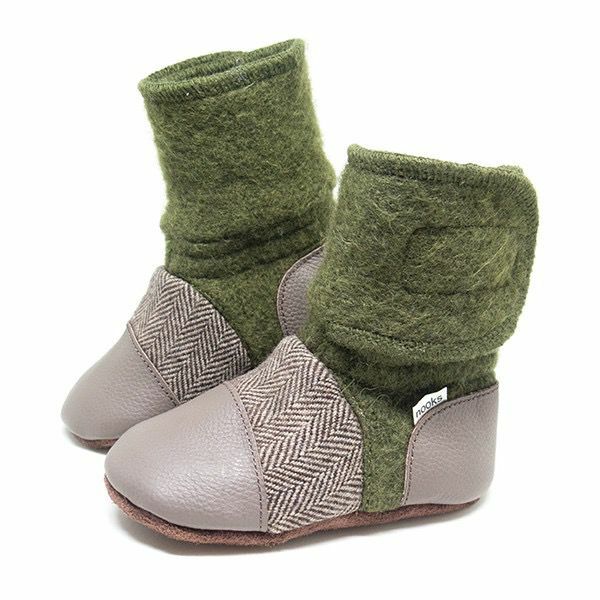 Article number: Nooks Felted Wool Booties-Driftwood-18-24 mos. 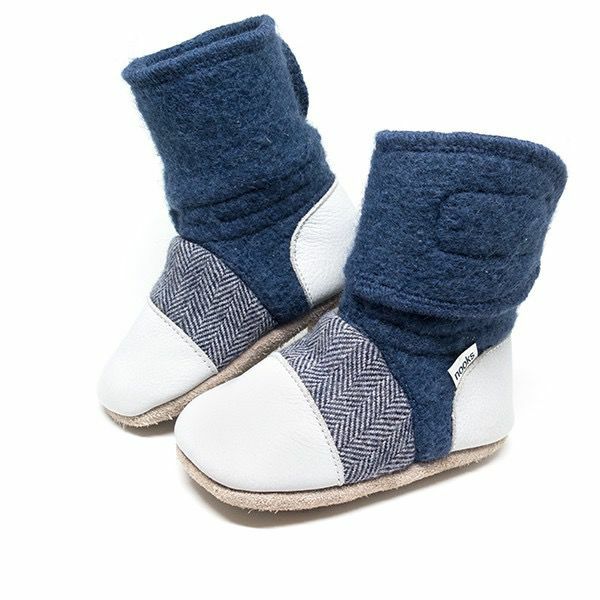 Nooks Design's felted wool booties are created for comfort and style for your little one’s growing feet. 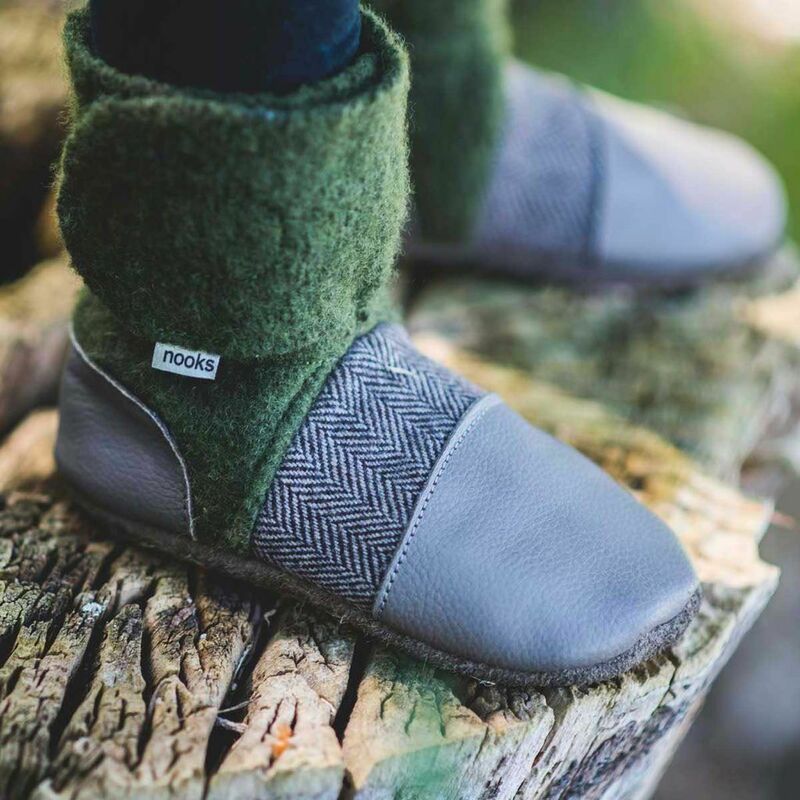 Made from 100% pure New Zealand lambswool which has been felted for strength and durability, and paired with rugged hide leather soles that provide slip resistance when worn indoors on laminate wood or tiled surfaces and are durable enough to be used outdoors in dry conditions. 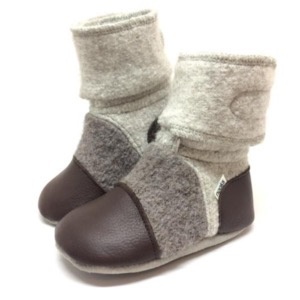 The adjustable flap closure makes them easy to put on even the squirmiest feet and secures around calves of all sizes for a comfortable fit. 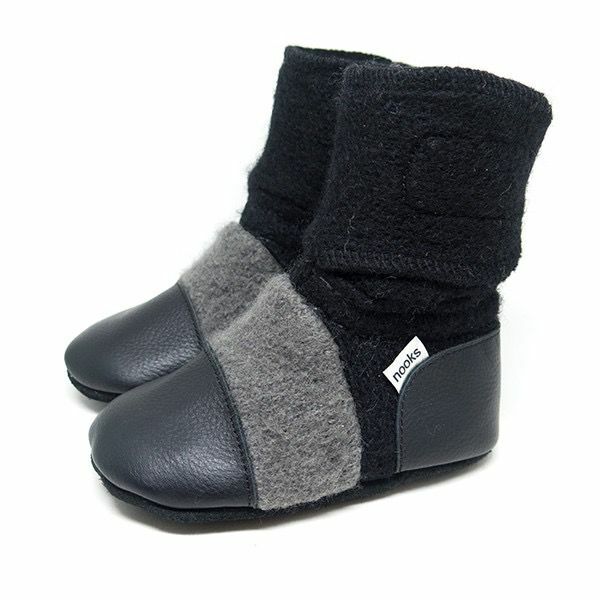 An elastic built into the ankle cuff gently holds them in place. To ensure the proper fit, trace the child’s foot on a piece of paper when they are standing and measure the distance from the tip of the longest toe to the back of the heel and add 1/2″ for growing room. 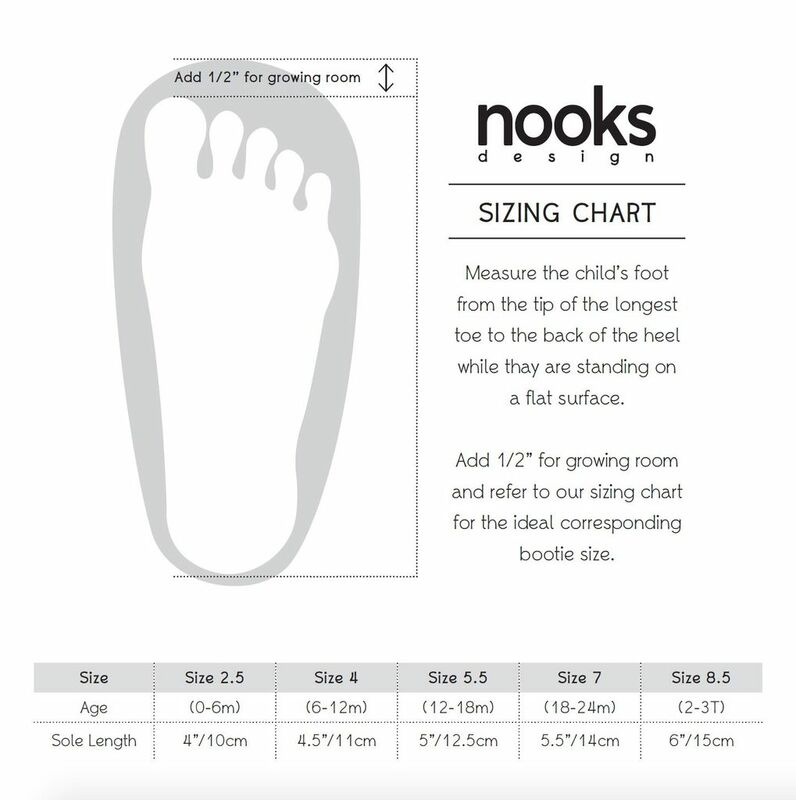 Check our sizing chart to find the corresponding size from our list of options.